WASHINGTON – Women’s groups are threatening to take the Trump administration to court after a leaked, draft regulation revealed a plan to let employers opt out of providing no-cost birth control to women for religious and moral reasons. The White House refused comment, calling the 125-page document posted online by the news site Vox an “alleged draft.” A government website shows that a rule on preventive services under the Affordable Care Act – which includes birth control – is under final review by the White House Office of Management and Budget. The share of women employees paying their own money for birth control pills has plunged to under 4 percent, from 21 percent, since contraception became a covered preventive health benefit under the Obama-era health law, according to the Kaiser Family Foundation. Research has shown that contraception promotes maternal health by allowing women to space out their pregnancies, among other findings. The birth control requirement also applies to dependent coverage for wives and daughters. But the mandate has drawn strong and sustained opposition from social conservatives, who see it as an infringement on freedom of conscience. The Obama administration exempted houses of worship, and set up a workaround for religiously affiliated nonprofits, such as hospitals, universities and social service organizations. The Supreme Court later ruled that closely held private companies were also eligible for the workaround, through which the government arranges contraceptive coverage for the affected women employees. The leaked draft from the Department of Health and Human Services would allow any employer to opt out of providing birth control as preventive care at no cost to women employees for religious or moral reasons. “The major thing that it does is broaden the exemption that in the past was only available to houses of worship,” said Alina Salganicoff, a women’s health policy expert at the Kaiser Foundation, who served on a government advisory panel that recommended birth control be treated as a preventive benefit for women. Advocates on both sides and leading lawmakers in Congress were treating the draft as an actual administration document, with the caveat that federal regulations can change significantly in the final stage of White House review. “A change in the rule is welcome and good,” said Mark Rienzi, senior counsel at the Becket Fund for Religious Liberty. “I hope that the leaked draft we’re looking at obviously becomes law.” The Becket Fund opposes the birth control requirement and represents the Little Sisters of the Poor, a women’s religious order that had sued the Obama administration. It’s unclear how corporate America will react if the broader birth control exemption makes it into a final regulation. “I just can’t imagine an employer adding parental leave benefits to attract workers and then dropping this benefit,” said economist Paul Fronstin of the Employee Benefit Research Institute. Setting aside the high cost of childbirth, contraception provides an indirect benefit to employers by taking much of the unpredictability out of requests for parental leave. Women have long been an integral part of the workforce at most companies, and some experts have argued that birth control has broader economic benefits. The Obama-era regulations require employers to cover the full range of FDA-approved contraception, including sterilization and the morning-after pill. Some religious conservatives have specific objections to those. 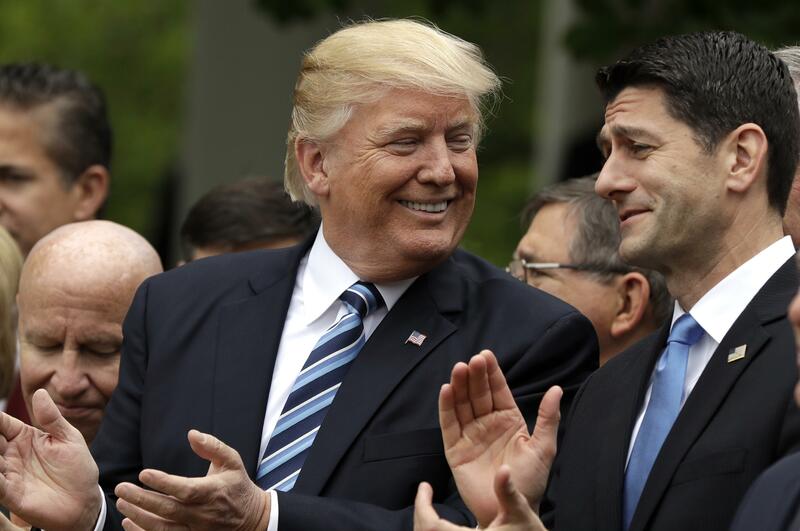 Immediately upon taking office President Donald Trump said his administration would work to loosen health care regulations seen as infringing on religious conscience. There’s no timetable for a final regulation. Published: May 31, 2017, 12:39 p.m. Updated: May 31, 2017, 5:52 p.m.